My family goes a little crazy with the Easter gifts. So Chris and I don’t usually get much for the girls’ Easter baskets. I had a rather unsuccessful trip to Ikea the other day when my search for a lampshade and trash can turned up nothing. But I did find a little Easter gift for the girls for under $20. 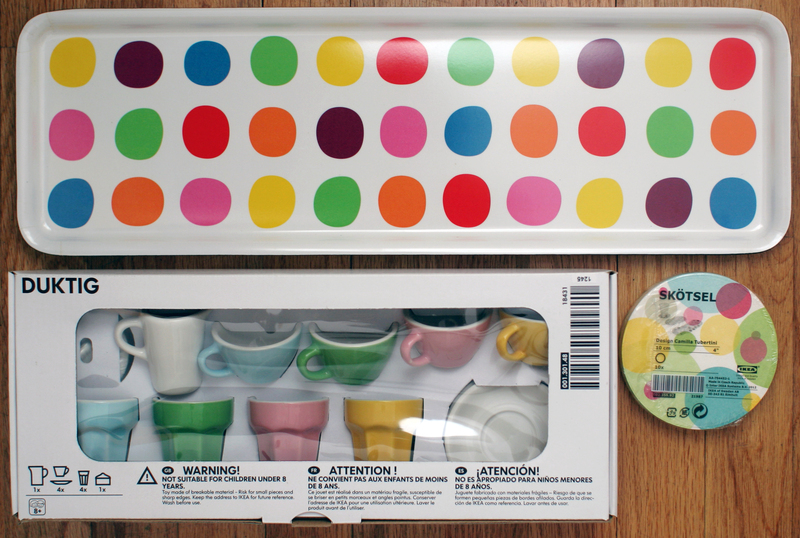 This Duktig Coffee and Tea Set is my favorite for the kids’ play kitchen. Ada has broken a lot of the pieces over the years, so a replacement set will come in handy. The tray is the perfect small size and paper coasters are always useful for a place setting of wooden food. It hardly seems like spring is on its way today, with snow showers in the air. But these bright colors are making me dream of green grass and Easter egg hunts.